Music comes from the heart, so in my method fun is paramount. Because, if you enjoy what you do, your learning progress can accelerate up to 200%. Via the intensive personalized support you achieve comprehensive theoretical and practical knowledge all around the bass and beyond. The ultimate goal though, is to make you a better learner and a teacher to yourself. I want you to become independent from your mentors (including myself). If you can figure it out on your own, than all that’s left to do for your guide is to inspire and motivate you. I offer private lessons at the MM Studio or at a place of your choice, that meets the requirements. 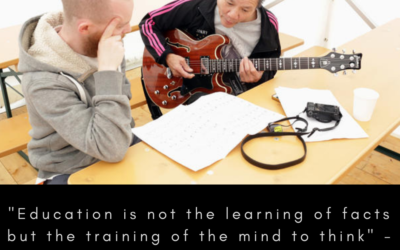 I’ll teach you everything you need to know from the rudimentary basics to preparing you for music college and the real purpose of making music: Playing together with other musicians! You live in another country? No problem! Because, you can also take lessons via Skype. I’ll be waiting for your call at the MM Studio with all the tools and resources available, that you would have in a private lesson in my space.